The mission of 10,000 Beds is to connect individuals seeking help for addiction to vetted treatment programs. We envision a world where individuals in recovery are not sidelined because of their past, but welcomed, embraced, and included as valuable, lovable people with limitless futures. We are a registered 501c3 nonprofit organization in good standing through the state of Delaware, with offices in Utah. Also found under Ten Thousand Beds, Inc. (EIN 47-3609493). We are honored to receive GuideStar’s 2018 PLATINUM SEAL OF TRANSPARENCY, the highest level of recognition GuideStar can give a nonprofit organization. We operate under the guiding principles of our Code of Ethics. 10,000 Beds has a ZERO TOLERANCE POLICY for all unethical practices and behaviors, specifically in the addiction treatment industry. We hold ourselves and our partners to the same standard. So, What Does 10,000 Beds Do? We partner with addiction treatment programs which provide at least one scholarship (bed) per year (some of our partners provide a lot more than one per year). We are then able to offer these 100% donated scholarships to qualifying 10,000 Beds scholarship applicants who want and need help but are without resources. Applicants apply online through this website. Our online application process includes 30+ questions, a comprehensive review and assessment, consideration of unique needs to identify the appropriate program, and coordination with the selected treatment center to make certain a scholarship bed is available and to allow for their own clinical assessment prior to admission. There are times we close applications to allow us the time to appropriately manage the overwhelming number of applications we already have pending. Where Did The Idea for 10,000 Beds Come From? The idea for 10,000 Beds was conceived in the fall of 2014. The idea was the result of our Founder’s conversations with many persons needing help for addiction who had no resources, followed by site visits to treatment centers with empty beds. She knew this was an equation needing a solution and she immediately set out to solve it. The 10,000 Beds unique model of partnering with treatment programs directly for the donation of scholarship beds is recognized as innovative and effective throughout the behavioral health industry and beyond. What We Don’t Do: We Don’t Sell Beds or Mattresses! 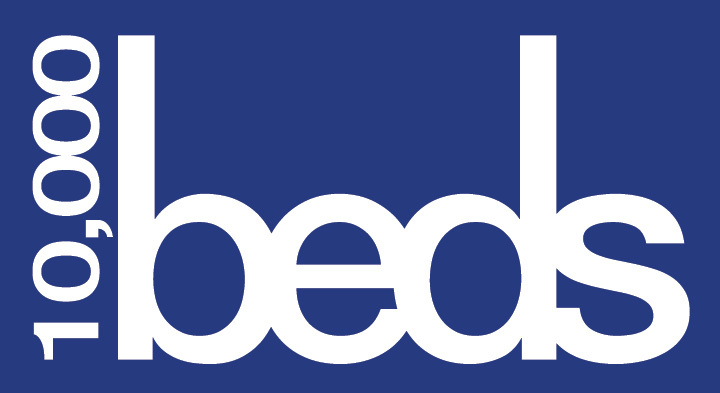 “Bed” is the word we use for a scholarship from a treatment program. Our hope is if a treatment program has an open bed, they will consider providing a scholarship. Our goal is to award 10,000 Scholarships by the end of 2021. We come from a place of gratitude. We consistently strive to make a difference by being mission-driven, client-centered, and results-guided, while also demanding conduct that is ethical, caring, transparent, and creative. We have a ZERO TOLERANCE policy for unethical behaviors in the treatment industry. 5. provide a recognized standard of excellence as we support our clients and partners. In 2016 we awarded more than $1,000,000 in scholarships through our extraordinary treatment program partners. We were able to provide support to more than 250 clients. In 2017 we awarded more than $2,500,000 in addiction treatment scholarships and supported more than 1,000 clients. We traveled thousands of miles #ontheroad4recovery in BigBlue (our logo-wrapped RV), crisscrossing the United States to meet with mental health professionals, elected officials, community leaders, addiction support organizations, treatment programs, and individuals and families affected by addiction. In 2018 we are working hard to double in one year what we’ve accomplished over the past two years. We will also be #ontheroad4recovery in BigBlue, traveling to raise awareness and provide resources and hope. We expect to meet literally thousands of people as we once again take BigBlue to conferences, rallies, and meetings nationwide. We are honored to partner with numerous treatment programs around the country. Each of our extraordinary partners donates at least one scholarship every year. And each has been vetted by our team of advisors, board members, and volunteer staff. We have a ZERO TOLERANCE policy for unethical behavior and hold our partners to a very high standard. Not only do our treatment program partners already work day and night to help those battling addiction to get better, but they are philanthropic stars. This is one of the many things that make them exceptional. Without exception, our partners not only give a scholarship through us, their business plan’s typically allow for providing a percentage of scholarships each year. They are extraordinary, giving, generous people. What do you mean when you say you “vet” treatment program partners? We aren’t going to lie. In this industry, vetting partners isn’t as easy as it used to be, and there’s never any guarantee that what you see on Monday will be there on Tuesday. Owners change, clinicians move on, clients fib, and marketers aren’t always ethical. At 10,000 Beds we know this, but we are fortunate to work with some of the best treatment programs in the nation. How do we vet our partners? How dow we know they are the best? Because we’ve been there, we’ve personally visited each one. We’ve spent time with staff, sometimes even with clients. We know the owners. We trust them. And we stay in touch. We also ask our partners what their experience has been with prospective partners. Is it perfect, can we guarantee that everything, every time will be done absolutely correctly? No. Changes happen, some partners will drop off due to those changes, but new partners are also added when changes are made as well. We strive to connect our 10,000 Beds clients to the best 10,000 Beds partner for their needs. We trust the process, have faith in our partners, and believe in our clients. However, if something doesn’t feel right, we step back. We have a ZERO TOLERANCE policy for unethical behaviors. How Does a Treatment Program Donate A Bed (Scholarship)? Treatment programs can donate a bed (scholarship) by completing the Scholarship Pledge form on this website. If you represent a treatment program, please complete the form, or if you would like more information, please contact our founder at jean@10000beds.org. Our funding comes entirely from individuals, foundations, and corporate donors. We do not have supplemental income from any other source. We are not a placement service for insured clients and we do not have a marketing contract with any treatment program. We are a 501c3 nonprofit organization; all donations are tax deductible. Because our program expenses are covered by corporate donors and grants, 100% of all donations from individuals directly support our scholarship recipients. Individuals can easily make a safe and secure donation right here on our website. Every dollar counts. We leverage our donations many times through strategic partnerships. Not only can you feel safe and secure making an online donation, you can feel safe and secure about how your dollars are spent. Because our program expenses are covered by corporate partners and grant funding, 100% of your dollar goes directly to our applicants to support their recovery. By supporting 10,000 Beds, you make a difference in someone’s life. Thank you! We love corporate partners! If you’re a business entity, corporate sponsorships are available! We want to be creative and build a partnership that supports your mission as well as ours. Please reach out to our founder Jean Krisle at jean@10000beds.org for more information on how you can get involved! There are incredible organizations raising millions of dollars to pay for scholarship treatment and help people battling addiction. We applaud them, but we have a different model. For donors, partners and sponsors, our ability to leverage their contributions significantly raises their direct impact on the lives of others. We can promise this because we don’t pay for scholarships, they are donated to 10,000 Beds by our extraordinary treatment program partners. These exemplary programs recognize and honor their philanthropic responsibility to give back in an industry that can be cut throat and profit-oriented. Many treatment programs are for-profit businesses, and we applaud their efforts to help others, but their philanthropic actions are what make us cheer. We are diligent in our efforts to strengthen partnerships, empower teams, and multiply resources to effectively maximize each and every dollar raised, and carefully use each scholarship donated. They make us happy. They turn to the light for strength. They’re hope on a stem. Hence the daisy. 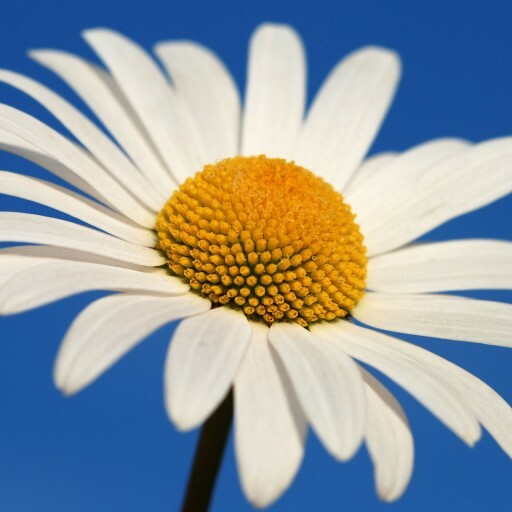 Even on tough days, daisies make us smile. Our role in a person’s recovery is simple. We provide hope, support, and opportunity for them to change their own lives. We do this by connecting those who need help with those who can help. We don’t ask our scholarship recipients for testimonials, although many reach out to say thank you. The real heroes in our scholarship program are the generous treatment programs who donate the scholarships. They deserve the credit and the recognition. We are simply the connectors. We are 10,000 Beds and we believe in the people we work with, both clients and programs. We don’t save lives, but we hope and pray our clients choose to save theirs. Why Is There A Hold On Scholarship Applications? With an ever increasing number of application submissions each month, we work as fast as we can to qualify applicants and identify treatment programs. When our backlog becomes too large, we put a hold on applications. We feel this is the most fair way to handle the overwhelming response to our program. Once we are able to catch up, we once again open the application portal to those who want to apply for a 10,000 Beds scholarship for substance abuse treatment. 10,000 Beds is Politically Neutral. The mission of 10,000 Beds is to connect those seeking help for addiction to those who are willing to help by providing addiction treatment scholarships. It is not political activism. Allow our membership lists or other resources to be used for partisan political purposes. Attempt to direct anyone as to which candidate or party they should give their votes to. 10,000 Beds, Inc. (Ten Thousand Beds, Inc.) reserves the right as an organization to address, in a nonpartisan way, issues that it believes have significant impact on those battling substance abuse disorder and/or the addiction treatment and recovery industry. 10,000 Beds Zero Tolerance Policy. We will not tolerate unethical practices. We abhor and condemn any form of patient brokering, insurance fraud, excessive billing, and all forms of unethical behavior. Specifically, under NO circumstances will we participate in or condone the purchase of insurance for a scholarship recipient or ANY person by a treatment program or marketing service. And under NO circumstances will we participate in or condone any monetary exchange for the placement of a client – any client. If we discover this happening, we will take appropriate action.